Jennifer Lopez is being criticized for her performance at the 2019 Grammy Awards in which she gave a Vegas like tribute to Motown Sunday. The “Selena” actress and “I’m Real” singer drew controversy earlier in the week when she was announced as the headliner for the Motown celebration. Many felt that the Latina superstar had no history to the famed Black label and soul stirring music associated with such acts as Diana Ross, Gladys Knight and The Temptations. Nonetheless, the 49-year-old entertainer performed such hits as “Dancing in the Street,” “Do You Love Me,” “The Best Things in Life Are Free” and “I Heard It Through the Grapevine” at the Staples Center in a revealing, V cut one piece. Lopez was believed to be lip syncing and at one point, she danced in a sequined leotard. She was joined by Motown legend Smokey Robinson, Alicia Keys and Ne-Yo at certain points but Lopez mostly commanded the stage for the medley of the greatest hits. Afterward, Lopez felt she had given it her all in an interview with Entertainment Tonight. Lopez said that Motown founder, Barry Gordy, knew that her heart was in the right place. “They know how much I have been influenced by that music and so it was a natural fit for them,” she said. Lopez also addressed her critics and insisted that she was just humbled to pay honor. “I’m just very humbled and honored to be able to have sung those songs,” Lopez said. However, social media was in a fury that Lopez and not Black artists was given this opportunity. Many users felt it was disrespectful and erasure of other talents. Robinson remained steadfast in his support of Lopez. He called those who were against Lopez “stupid”. 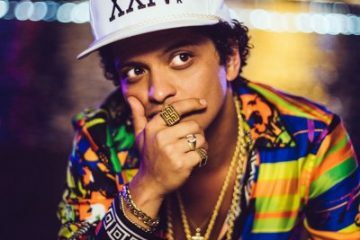 Is Bruno Mars Guilty of Being a Cultural Appropriator?